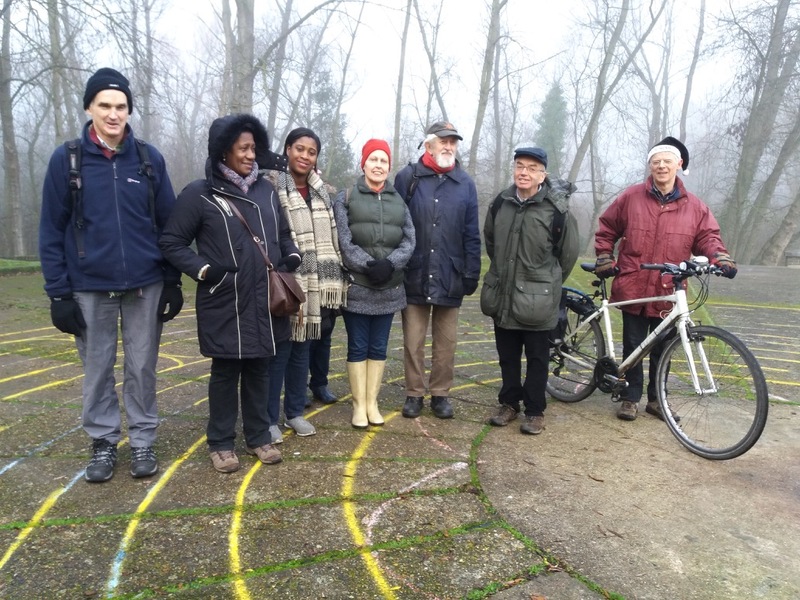 On Wednesday 28th December 2016, which proved to be a gloomy, cold & misty morning, 11 souls braved the icy conditions to take part in a walk organised by Waltham forest LETS. 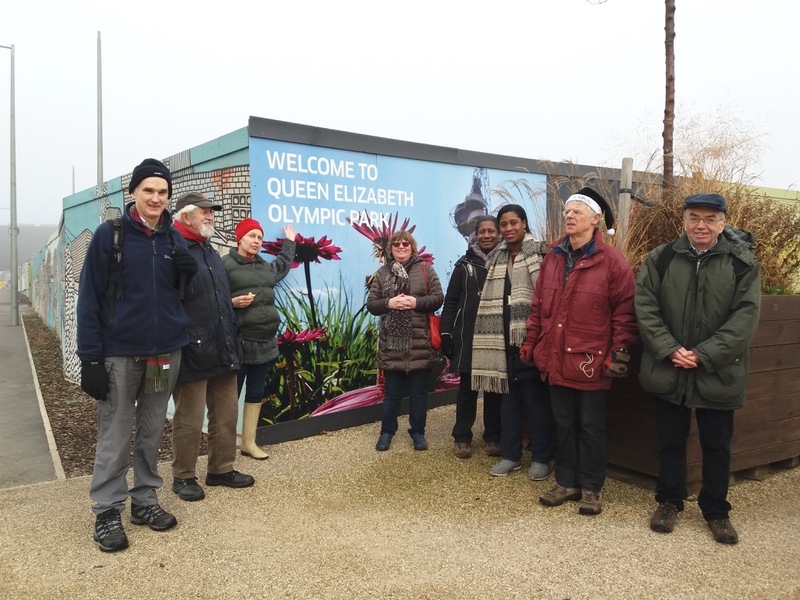 We set off from the ice rink in Lea Bridge Road, which took in the Middlesex Filter Beds, Lea Navigation Canal, Wick Woodland, Hackney Marshes and The Queen Elizabeth Olympic Park. 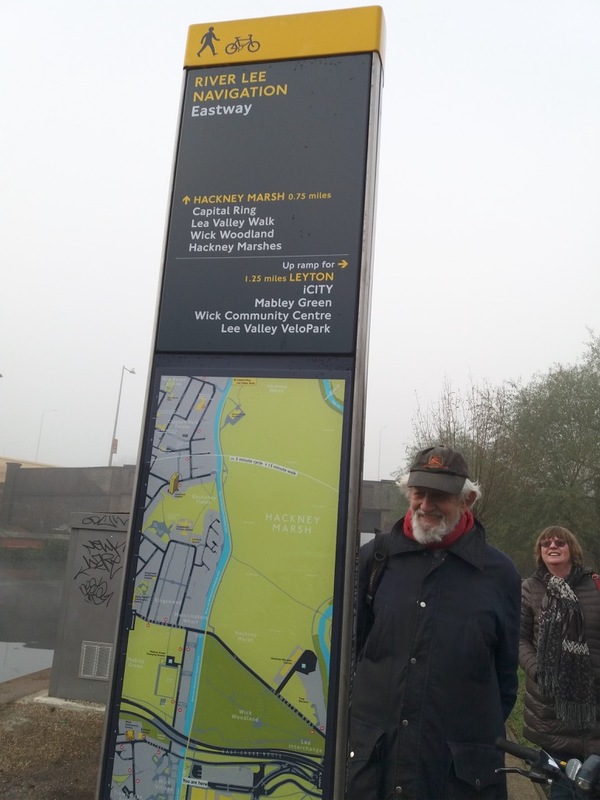 My thanks to David Boote for navigating skilfully, as if left to me, with landmarks covered in thick mist, it would have been a very long walk for the group !